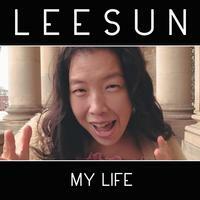 This album from Korean born, UK based artist LeeSun, shows off a good variety. I suppose overall it all sits somewhere in the range of folk based pop music with some electronic edges, but from song to song there is a lot of variance. LeeSun's voice is gentle and effective. Her songwriting works equally well. This is a potent release. Acoustic guitar leads the song (and album) off with a real folk music vibe. The vocals come in over the top of that arrangement bringing a gentle pop element to it. This balladic cut is pretty and effective. A blast of a dense vocal arrangement brings this in with a stark contrast to the previous cut. Bass comes in and as the cut works to sort of a stripped back, jazzy, playful kind of arrangement. This number is fun, but also quite strange. It's definitely an oddity. This starts with children's voice is a rich arrangement. It drops to acoustic guitar from there to a mellow, stripped down arrangement. The song is another that's very much a folk piece. It has a chorus of children's voices added to the mix on quite a bit of it. 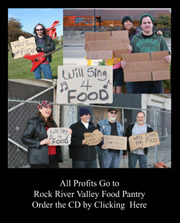 Jazzy and bluesy, this has a lot of Americana in the mix. It's a classy slow moving tune with some killer guitar fills. A crack of thunder is part of the storm sounds that begin this piece. The cut has a mellow almost soulful vibe to it. There is a duet on this number with a male voice joining LeeSun's. This is very artistic and quite intriguing. Electronic in many ways, this is a bit strange. It's also dramatic and powerful with a very artistic edge to it. It has some cool retro stylings and a nice balance between both the more powered up and mellower and the more organic and artificial. This cut is a nice combination of the folk stylings with the more powered up and modern sounds. It begins with that folky concept, and that holds it for a while. It eventually gets more layers of sound added to the mix and works its way upward. Pretty folk based sounds, the strings add a lot of magic to this piece. It's a strong number on a disc full of strong music. Folk music seems to merge with jazz on this entertaining track. It's an intriguing piece that's among the best here. There is a dreamy, trippy element here, pulling this away from a pure pop kind of sound. This is melancholy and pretty deep. A moody piece, there is more of that trippy texture here. It's slow moving, somber and very captivating. Back to more pure folk music, this is a solid cut, but not a huge change. Delicate and intricate, this is quite a pretty song.